"Between lies and the truth lies the truth." Acceptance and acknowledgment need to come to every creative person. It is best if it comes at the right time, when the artiste is not yet past her/his prime. But better late than never! 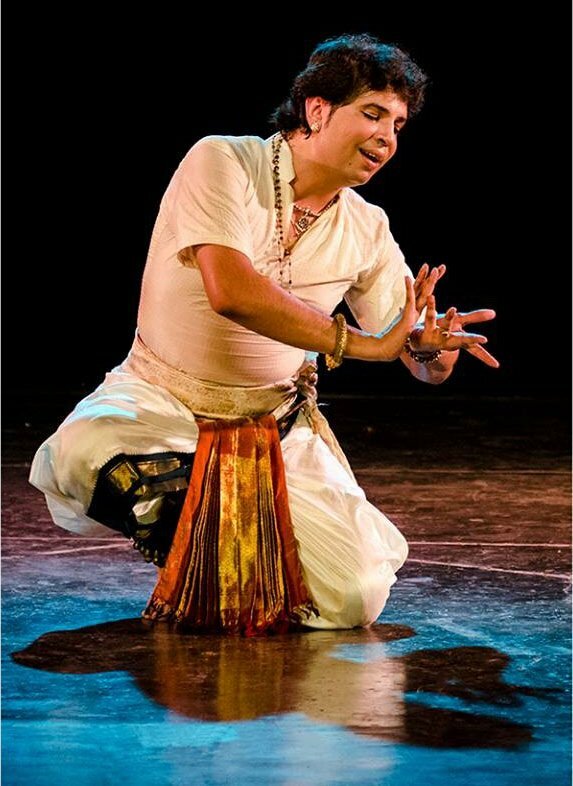 The news of my selection to receive the prestigious Sangeet Natak Akademi honour for my contribution to the field of contemporary dance in India could not have come at a more surprising moment. I was gazing at the calm waters of the Adriatic Sea, off the coast of Dubrovnik in Croatia when my phone lit up with several text and direct messages. The terse words just said “CONGRATULATIONS!" Another said "FINALLY!" Disconnected and on my own since May 22nd, I could not comprehend the intent of these messages until a dance colleague said it in a complete sentence! And what followed was a tsunami of emojis! I did emit a silent exhale. It has been a long and mostly lonely road. For many, my dance-bio seemed a mottled and confused trajectory. Was I sprouting too many heads? I was not only performing but also organizing, speaking, writing, mentoring, travelling, curating... too many "distractions" or "lack of focus" to excel or shine in one particular field was the criticism I was often hearing. At a SRUTI magazine meeting presided over by founder N Pattabhiraman 18 years ago, I was roundly accused by senior gurus of encouraging young classical dancers to experiment and create on their own. 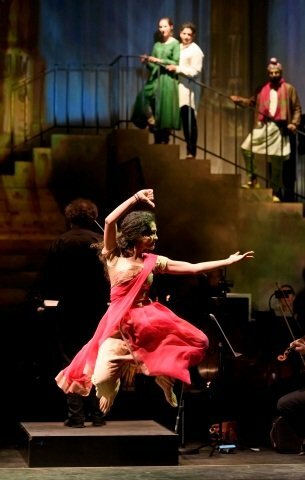 My return to India and to dance was not about RESUMING the arc I had left at age 21 when I voyaged to the USA, but to forge a new and exciting pathway for dance and theatre. I did not fit into any particular mould. Dancer-Choreographer - Arts Entrepreneur - the hats continued to only multiply. And so did the satisfaction that many a life had been touched and catalysed in new and interesting ways. This SANGEET NATAK AKADEMI award selected by eminent artistes is a true honour. Unlike the PADMA AWARDS, it is artistes who select their peers, seniors and emerging juniors for this honour. While the title AKADEMI PURASKAR might not slide off the tongue like the PADMAS, we artistes recognize the value of this honour. The outpouring of good wishes from around the world has been truly touching. The honour roll of award winners this year is particularly wonderful and it is a special delight to be selected along with those colleagues and seniors who have given their life to the arts! To think that my name is now on the roster that began with Mrinalini Sarabhai and has such luminaries as Chandralekha, Astad Deboo, Daksha Sheth, Aditi Mangaldas (although she has contested this category! 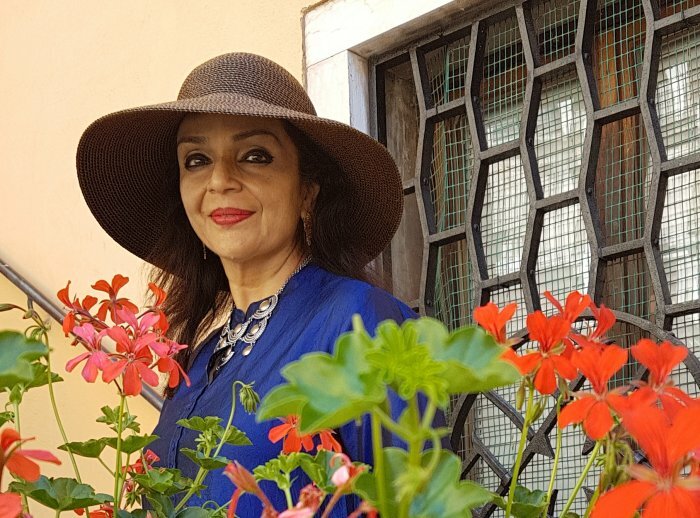 ), Tanusree Shankar and Mallika Sarabhai adds to the moment of joy! These moments make me feel connected to the larger web of dance and the live arts. Not being a guru/teacher and creating solo work tends to cut me off from the normal "daily life" of a dancer-choreographer in India. Now, I feel connected all over again. Will this award motivate me into more challenging areas? Will the goalposts change? I know that I will continue my quest - for my performances to move closer to the life we lead, in a world that is complex, messy, sticky and often unjust. 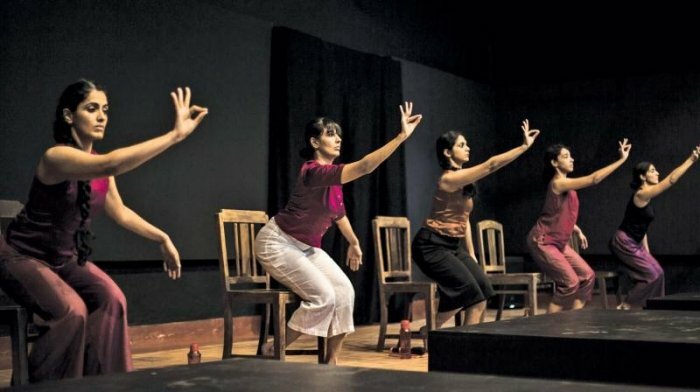 The irony is that today, I am rarely on the radar for the growing number of the contemporary dance festivals in India since the patina of what is "modern" or "contemporary" has shifted dramatically in the past decade to when I first began my foray into new directions 18 years ago! I never set out to claim any label but the tags of NEW, MODERN, CONTEMPORARY INDIAN were often attributed to my performances. "Creating within the tradition" was something of a palliative to those who did not understand my work but were appeased that the kinetics were drawn from my various vocabularies of mostly classical training. My mantra has been "MY GEOGRAPHY IS MY HISTORY." A South Indian / Indian / South Asian physicality is what the muscles remember. NEO BHARATAM is what I named my style 20 years ago as a reaction to the confused rhetoric of critics and a way to protect my still evolving style. The increased athleticism in dance, the mandatory groups for contemporary work, exaggerated lighting, minimal costumes (as a reaction to the overdressed classical dancer) are all markers that I have ignored. Silence, meditative slowness, pared down choreography, subtlety, distilled intention, imaginative and often provocative costuming FOR A MATURE BODY are not qualities that communicate in today’s distracted world. Yet, the adventure continues... and for all those who know what this moment means. THANK YOU. To my amazing family of collaborators - I could not have done this without you! To my departed elders who worried and doubted me almost every step of the way - my gratitude for your love and resistance. It made me more stubborn and therefore - stronger in my resolve! To my revered guru Adyar K Lakshman who said my early work looked like "kandapadi-contemporary" and critic Subbudu who scolded me for moving away from Bharatanatyam - my immense gratitude for your passionate caring! Bharatanatyam dancers have been moving towards all the signposts that were established in my early years. Costume, design, set design, scenography, music collaboration, PR and Visual Communication, Lighting Design, Stage Management, Production Values, Writing, Speaking about the Arts, Outreach, Professional Collaborators that were not fond family, I could actually write a book. To all who wrote, texted, whatsapped, called and sent new and inventive emojis... THANK YOU. The word DIVA was used more than once to describe me but I am no diva compared to the incorrigible spoilt brat Justin Bieber who came, sang and fled to horrendous reviews. I mention this Canadian over hyped superstar because his demands of a massage table, white walls, a special perfume, a table tennis table back stage made me wonder at the abysmal conditions that dancers are offered in most green rooms in India. Imagine if we can actually DEMAND a basic level of hygiene... Well, don’t get me started on this topic! Speaking of divas, I chanced upon a Doordarshan documentary on Yamini Krishnamurthy late one sleepless night. I was entranced by her personality, her confidence and her Bharatanatyam that contained what many would say was "full of Kuchipudi movements." Did I care? Did anyone really care about where Yamini's strut and panache came from? She was an artiste in full flow and she had the world in her thrall. I wish we would just watch dance today without splitting hairs about this movement comes from Mohiniattam, that from Bharatanatyam, the other from Kuchipudi... Today, Bharatanatyam, more than any other form, has seen so much change and borrowing from cinema and other styles that it is hard for anyone to say that THIS is the authentic or traditional form. Just look at Aniruddha Knight or glam-gal Rukmini Vijayakumar. Both are Bharatanatyam artistes! Young Knight achieved an impressive turn out to herald the start of his iconic grandmother's centenary year. 2017-2018 marks the 100 birth anniversary of the legend Balasaraswati. Bala. Balamma- the singular woman who stood against the entire barrage of change she encountered and represented her community of traditional artistes with pride and dignity. 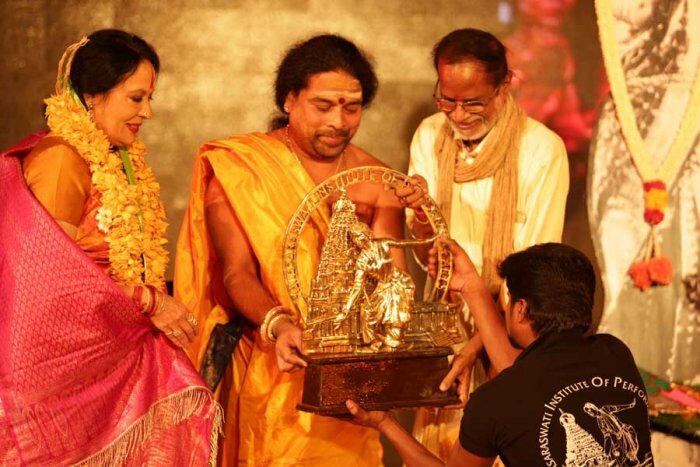 A global celebration of her life and contribution saw a housefull Music Academy hall in Chennai, where Bala had performed to standing room only audiences. Already the now historic FROM THE HORSES’ MOUTH Indian edition in New York City was dedicated to her memory. Her excellent biography written by son-in-law Douglas Knight was translated into Tamizh and released on May 20th. Aniruddha Knight has also started a new e-magazine called MAD (Mad About Dance). I am not in love with the title but I welcome a new entrant into the digital world of the performing arts. I only wish the younger generation find the time to read and discuss articles and ideas raised in the quarterly. 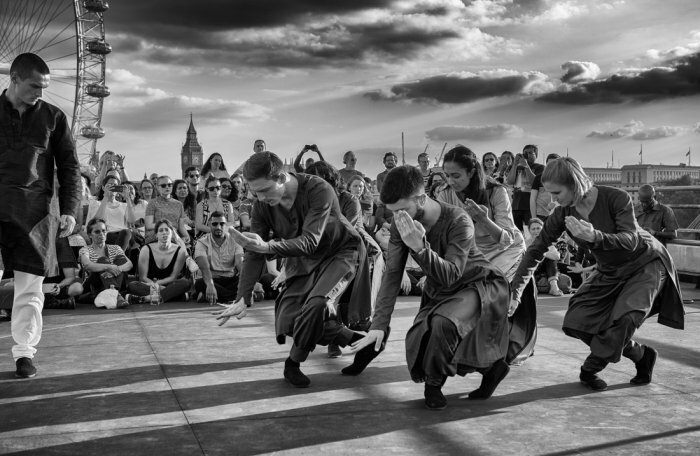 Although the temperature soared over 40 degrees in many cities, dancers seemed unfazed. Performances, workshops and teaching have continued unabated. The annual ABHAI summer sessions were very well attended and a particularly rousing performance of folk dances created by the students of Ranganayaki Jayaraman drew spontaneous applause. Now if only we could scale up these kinds of items for showing at corporate events instead of the dreadful bad-filmi stuff we are seeing. 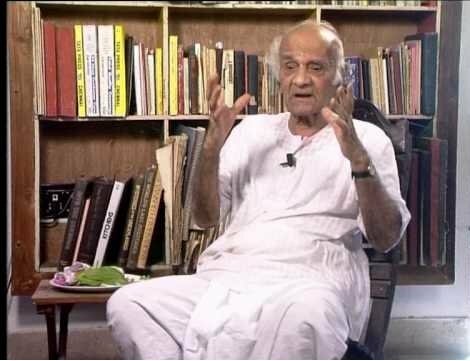 Veteran critic Subbudu's centenary was celebrated in New Delhi with much fanfare. What a unique personality he was! I quaked with fear when he attended my performances and sat rapt as he later scolded or praised me. I have often stressed the point about different optics and tastes of audiences in India and the West. A perfect case in point was the MET COSTUME GALA where actress Priyanka Chopra wore a floor length brown designer trench coat dress. The Indian fashion police trashed her while the US media LOVED IT! What do we say to this? Just like many dancers from India who critics find too flashy or "filmy" and who are tearing up stages in Europe and the USA. This famous Bhairavi raga varnam was associated with the traditional sadir community with Balasaraswati and many renowned sadir artistes locating it prominently in their repertoire. 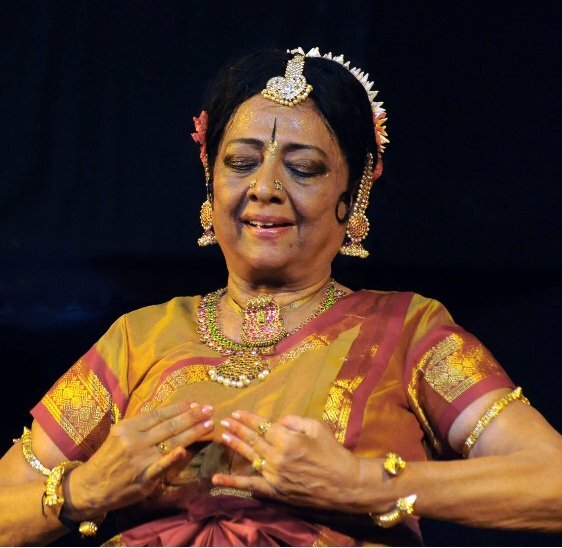 This varnam continues to be interpreted by many senior and emerging Bharatanatyam dancers, but who expected modern dancer Padmini Chettur to use the varnam in her new work titled VARNAM! Here is a clip of the work from the YOU TUBE channel of the contemporary collective called BASEMENT 21. 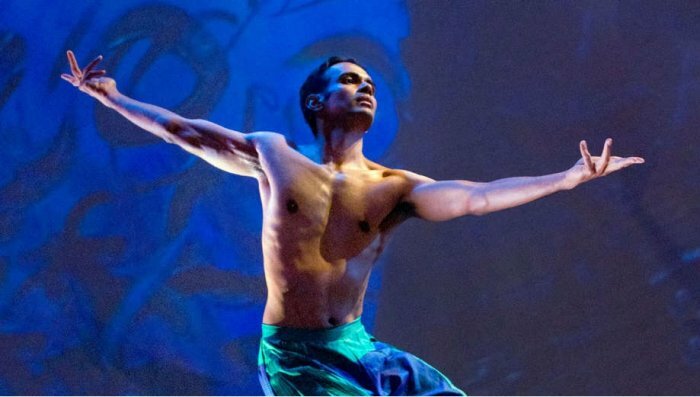 In the UK, choreographer Akash Odedra was helped in the choreo staging of the Ravi Shankar opera SUKANYA by the star dancing of Sanjukta Sinha and Rukmini Vijayakumar. 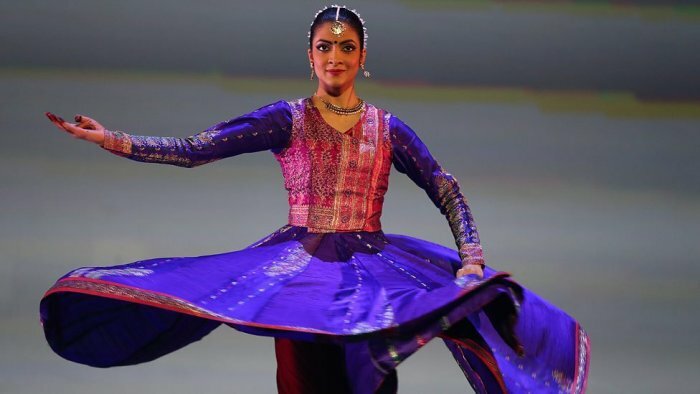 Two glam gals of Indian dance set the Royal Festival Hall stage on fire to the applauding audiences. 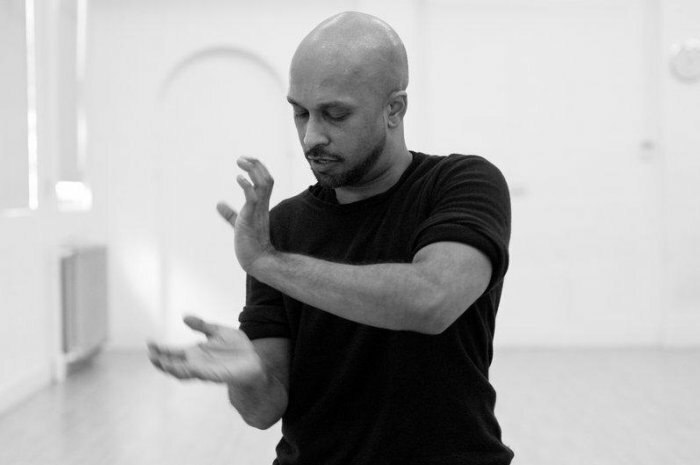 The EASTERN EYE AWARD FOR DANCE saw Akram Khan walk away with yet another honour. Also nominated were Shane Shambu and the delightful Kathak dancer Vidya Patel. 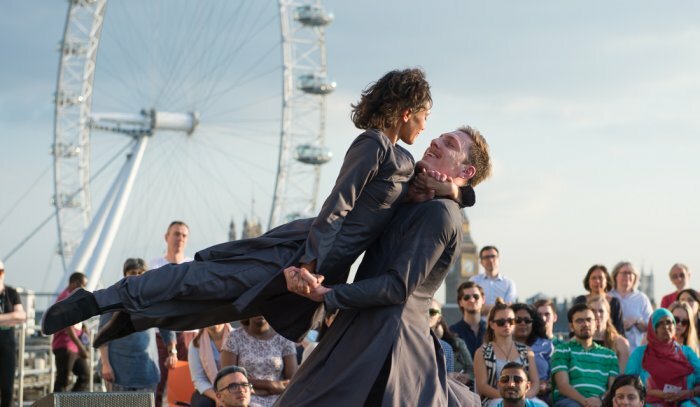 Spectacle specialist Mira Kaushik of AKADEMI pulled up another colourful event on the rooftop of the Royal Festival Hall called PARADISO. This is typical Mira and ends up sending a "frisson" of excitement in the South Asian/UK dance world by uniting a large number of dancers. Many gurus and established classical dancers claim that this is the best time for dance. I cannot agree wholeheartedly. While it seems that there is so much activity and quantity of dancers, performances, schools and awards, the pyramid remains narrow at the top. While the field may have expanded and diversified to include various types of training, dissemination via new technologies and open discussions via social media, the arduous and patient journey of training the body through years and years of submission may not augur well for today's young. How many can claim to have a 50 year career like yours truly or so many more who are boasting 60 and 70 years in dance? 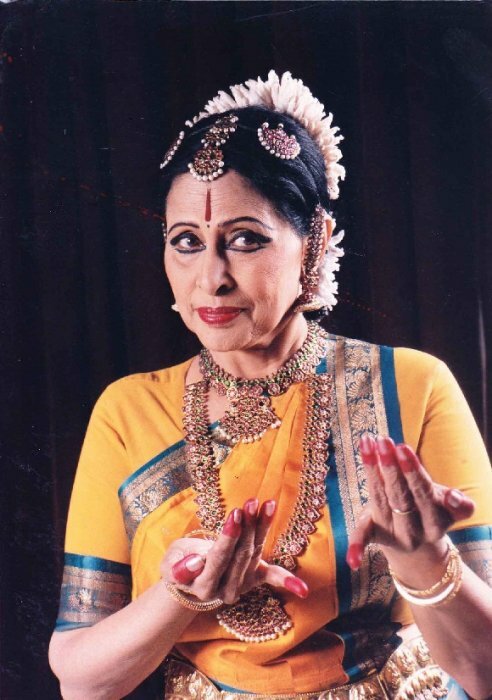 Can you imagine the glowing and ever young guru Saroja Vaidyanathan is celebrating her 80th birthday this year? And to mark the event, her academy is organising an all day and night celebration of nonstop dancing! I want to wish Saroja Akka and all the amazing octogenarians who have devoted their entire lives to this brilliant art form. 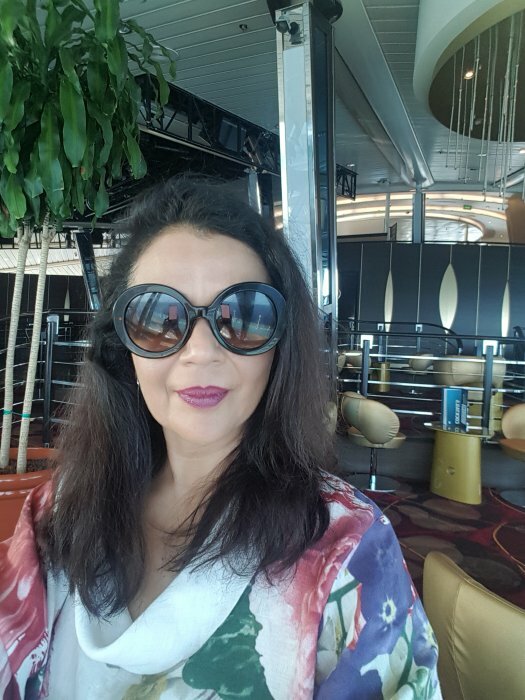 I wish I can glow like Saroja V at her age! Venice is the only city that charges a 3 euro SITTING FEE for anyone who dines. Even a cup of coffee will cost you 3 euros plus the coffee. That is why Venetians eat standing up! One Indian family found a creative way of sitting down right in the centre of St Marks Square and munching on their sandwiches! Watching were confused Italian police while the aggressive pigeons waited to attack the crumbs! I was thinking of reversing this situation for dance. With dwindling audiences even for free performances, what if we PAID AUDIENCES TO SIT AND WATCH! Different fees for different times. Okay, okay... I get it... I have to include steaming kaapi and perhaps a vadai thrown in! Heading to the USA to teach a summer intensive in Iowa are Madhavi Mudgal and Rama Vaidyanathan. 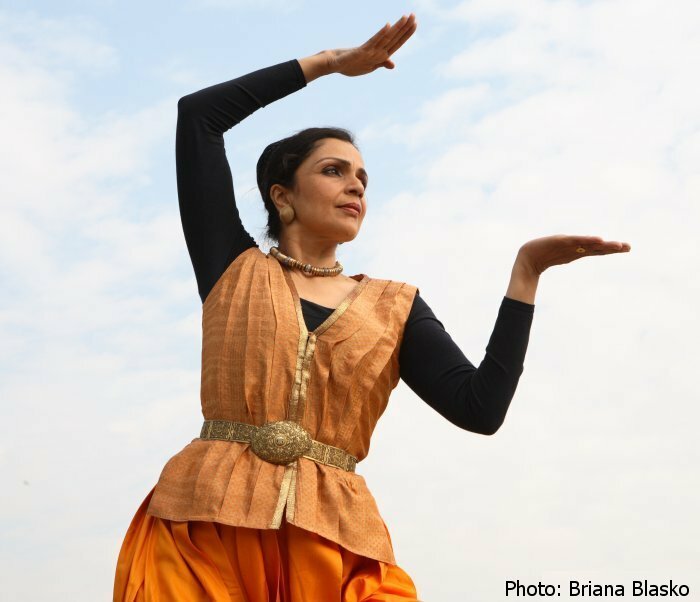 Looking at the successful DANCE INDIA template started by MILAPFEST a decade ago, Daniel Phoenix Singh has organized this camp for interested dancers in North America. Will these sessions go beyond item learning? Indian musician Anil Srinivasan is in Liverpool to perform for the grand BEATLES commemoration in an all day MILAPFEST MELA. What is happening to performing arts conferences in the USA? Topics and papers are now centred around pregnancy, tattoos, insomnia, eating disorders and sexual abuse. I am feeling increasingly uncomfortable at these gatherings since all my ideas centre around feminism, parallel mythology, personal diary and gestural possibilities. Speakers are often angry, opinionated and looking at Asian presenters as passé and outdated. Narrative is dead. Modern is dead. Dance as we know it is dead. It is all about ME, MYSELF, MY BODY. NOW. Why are Indian airports named after politicians? Rome has the Leonardo Da Vinci airport, Santiago (Chile) has the Pablo Neruda lounge, Venice has the Marco Polo airport, Liverpool has the John Lennon airport, Salzburg's ( Austria) is called Wolfgang Mozart and Warsaw (Poland) has the Frederic Chopin airport. We have only names of politicians... and we say our arts is our soft power!!!!! 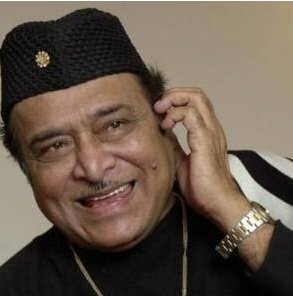 At least Prime Minister Modi named India's longest bridge across the Brahmaputra after the famous Assamese musician Bhupen Hazarika! We speak about the healing and restorative power of art. What if art was used during the final hours of life? I walked through the devastating fields of the Auschwitz/Birkenau concentration camps in Poland and saw images of a professional orchestra organized by the Nazi regime as the prisoners walked past towards the gas chamber thinking that they were going "to take a shower!" The music of choice was often German composer Richard Wagner. The image left me stunned and shaken! Thankfully, the next stop for me was picturesque Prague, where classical music, dance, opera, jazz and marionette puppetry are a 24/7 offering in this European city. 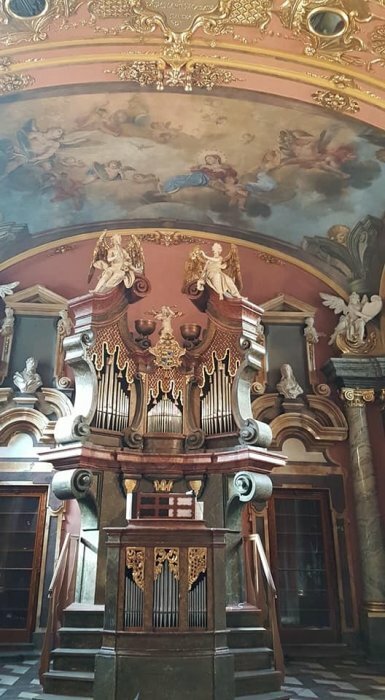 I sat at the renowned Klementium chapel where the famous double organ was once played by the legendary Wolfgang Amadeus Mozart! Listening to a superb symphony quintet, I wept silently when the famous aria AVE MARIA was sung. Auschwitz or the Partition - so many souls murdered and exterminated in the wave of violence of hatred and racial violence in recent history. India has and continues to witness so much bloodshed while we artistes continue to cling to our faith that art can heal and bridge chasms. Who knows what is possible? The only truth that shimmers before us is proof of how art is still a huge untapped potential force that could be a potent alternative as the world hurtles towards unstoppable self destructive megalomania. 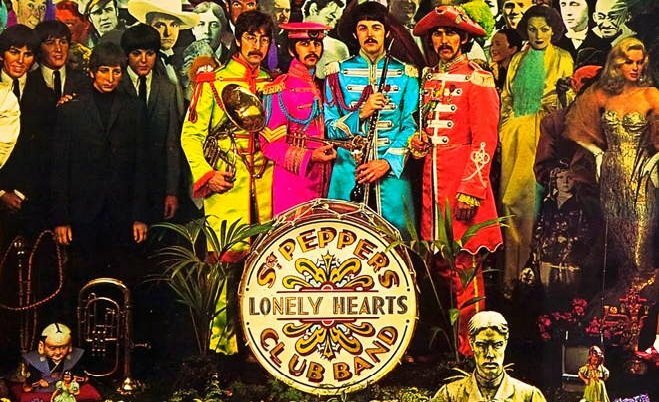 As a bomb decimated music fans at the Manchester concert of Ariana Grande, we must keep our spirit buoyant and channel the singular energies of THE BEATLES whose smash album SGT PEPPER’S LONELY HEARTS ALBUM marks its 50th anniversary. Let us smile at the cheeky individuality of these FAB FOUR boys who redefined an entire era with their sound, look and life. We approach the longest day of the year this month. We also begin the seasons for festivals and celebrations as the sun begins its descent over the next 6 months. May your energies keep you aloft and your spirits continue to hold fast to the parachute of the arts. Chennai - staying put and on a strict post vacation diet!!!! Congrats, ma'am, on your great achievement of receiving the prestigious Sangeet Natak Akademi Award. Kudos! I read your newsletter regularly. Keep the good work on.